Cardboard aims at developing accessible virtual reality (VR) tools to allow everyone to enjoy VR in a simple, fun, and natural way. The Virtual Realty Glasses can also turn your Android/iOS smartphone into a very cool 3D/Virtual Reality device. If you are a movie fan, you may look for a way to make it compatible with your Android/iOS devices through Google Cardboard 2. As we all know, you can use a free app called Cardboard theater, which allows you to enjoy your own 2D and 3D movies in a virtual cinema. And according to official website, Cardboard 2 theater lacks ability to play 3D Blu-ray movies, and it requires supports SBS, Over/Under and Red-Cyan anaglyph formats as well as plain 2D movies in all formats originally supported by your phone. This results in the separate left-eye/right-eye 1920 X 1080 frames becoming two individual 960 X 1080 images inside the same frame. When you look at these, you can actually see the 3D composite if you use the “relaxed eyes” method. 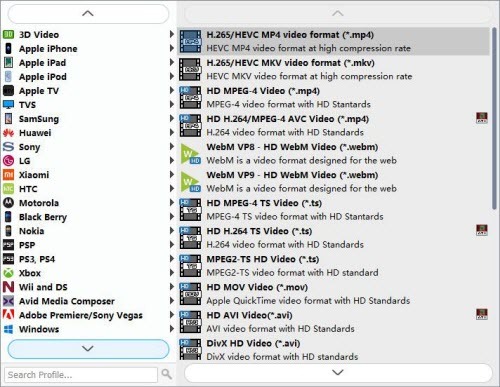 So, To rip 3D Blu-ray to 3D videos easily and quickly, you have to transfer your 3D Blu-ray to Any Andorid/iOS devices. There are many tools on the market for users to rip and convert 3D Blu-rays for Google Cardboard. Here we recommend a best tool – aPubsoft Blu-ray Ripper, Which will be especially useful if you own many 3D-capable devices (Samsung Gear VR, Oculus Rift, Zeiss VR One, HTC Vive, AirVR etc.) – all of your favorite movies can become any type of 3D you want. With it, you can convert 3D Blu-ray to Google Cardboard 2 supported Side-by-side video files without quality loss. 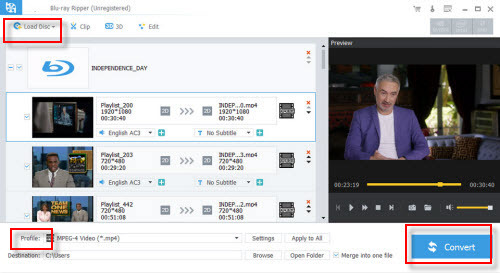 Plus, it offers other 3D videos such as MKV Top-bottom 3D Video, MP4 Top-bottom 3D Video, MKV Side-by-Side 3D video with original video quality. Best of all, it supports manual 3D Depth adjustment function. Follow below guide to start to rip 3D Blu-ray to view on Google Cardboard 2 with Android/iOS Devices on Windows 10. How to rip 3D Blu-ray for playing on Google Cardboard 2? Launch aPubsoft Blu-ray Ripper as the professional 3D Blu-ray to Cardboard 2 Converter. Click the “Load Disc” button on top left corner to add 3D Blu-ray movie to it. Double click the video, you can preview the movie in the right side. Google Cardboard 2 can accept 3D SBS MP4, so you can click “Profile” bar on the interface then navigate to “3D Video” category to choose “MP4 Side-by-Side 3D Video (*.mp4)”. For 3D side-by-side (SBS) movies, please make sure that the filename contains “SBS”. 1. The aspect ratio (AR) of a standard Blu-ray frame is 1.77:1. The side-by-side conversion results in the two 3D images getting compressed. In order to show each half image in its original 1.77:1 aspect ratio, we need to cut the vertical resolution in half. For example, the landscape resolution of the iPhone 6 Plus is 1920 x 1080. In order to calculate the correct height, take 1920 and divide it by 3.54. This gives us 1920 width x (1920/3.54) height for a final resolution of roughly 1920 *540. 2. Also, you can freely set the 3D depth as you like to be able to see the entire screen when watching 3D Blu-ray movies. You won’t feel as much of a sense of distance going back into your VR headset, but you’ll definitely see a difference for objects that are closer to the screen. You can adjust your phone left or right in your Cardboard 2 holder to help to maximize the 3D depth as well as focus the viewing area as closely to the center of the screen as possible. Hit the “Convert” button to rip 3D Blu-ray to 3D SBS MP4 video for playback with Google Cardboard 2 with original quality preserving. After 3D Blu-ray to 3D SBS MP4 conversion, you can hit “Open Folder” button to find the generated 3D SBS .mp4 videos. Then, you can transfer the converted video files to Andorid/iPad or iPhone and other devices for Google Cardboard 2 enjoyment. Now, you could view the ripped 3D Blu-ray movies in Google Cardboard 2 via your smartphone as you want. And you’ll have to download the compatible iOS or Android apps that are capable of projecting stereoscopic content.